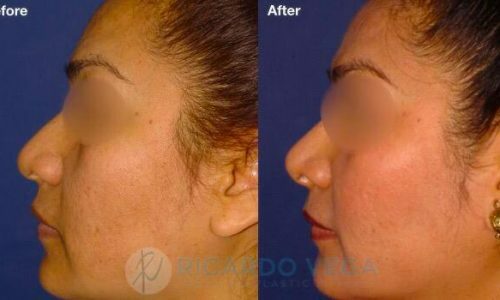 One of the most common plastic surgery procedures, rhinoplasty is performed to reshape, reduce or augment a person’s nose. 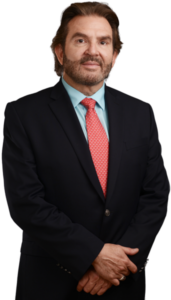 It can also remove a hump, narrow nostril width or change the angle between the nose and the mouth, or correct injury, birth defects or other problems that affect breathing. 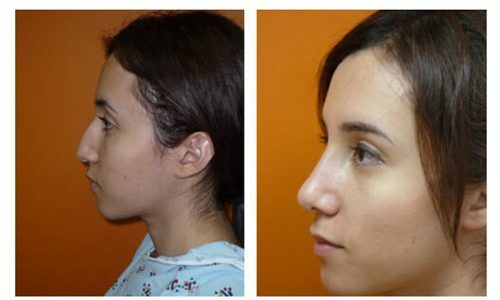 Results depend on the patient’s nasal bone and cartilage structure, facial shape, skin thickness and age (teenagers should have had their growth spurt). 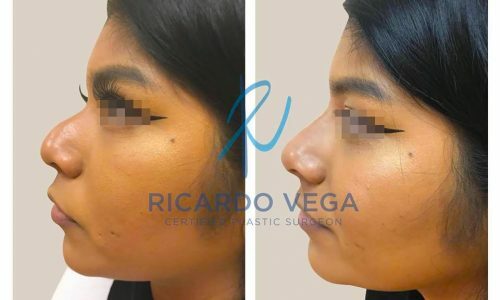 HOW IS A NOSE JOB PERFORMED? 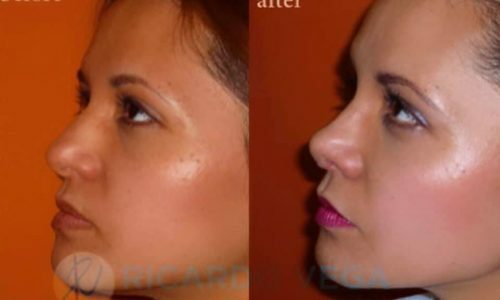 Dr. Vega uses one of two techniques: the incision is made either within the nostrils, which completely hides the scars, or across the columella (the vertical strip of tissue separating the nostrils), which leaves small scars that are hidden on the underside of the base. 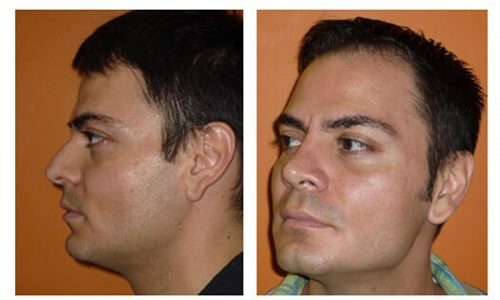 In both procedures, the skin is lifted, the bone and cartilage sculpted, and the skin replaced and stitched closed. 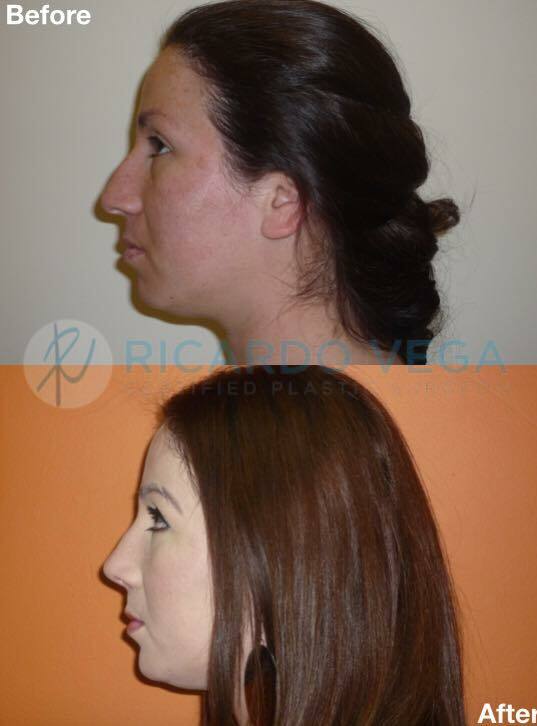 Rhinoplasty, also called nose surgery, reshapes the nose by reducing or increasing the size, removing a hump, changing the shape of the tip or bridge, narrowing the span of the nostrils, or changing the angle between the nose and upper lip. This procedure may also relieve some breathing difficulties when combined with surgery performed on the nasal septum. The patient may go back to work after one week. Activities that are more strenuous may be resumed after two to three weeks. The patient should avoid any activity that could impact on the nose or allow it to become sunburned for at least eight weeks. The use of a sunblock that provides both UVA and UVB protection is useful. The final results may take one year and sometimes longer to achieve.